The most vulnerable of the corporate zombie class, retailers are going out of business at a record pace. These are businesses so operationally hopeless than even in ZIRP world, they can’t survive. To go broke when debt is nearly free and universally available requires truly abysmal business performance. As interest rates continue to creep up, the corporate walking undead will continue to fall, and for retailers, it’s an Amazonian, scorched-Earth-future dystopian world they have to look forward to. 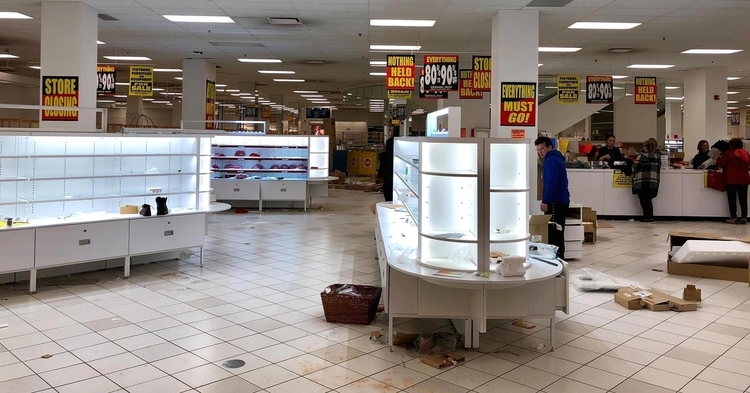 Retail bankruptcies hit an all-time high in the first quarter of the year, soaring past last year's records, according to Moody's Investor's Service. "We believe defaults in 2018 could match or exceed last year's record level," S&P Global Ratings analyst Robert Shulz wrote in a report that identified 20 retailers at risk of defaulting. Since publishing the report last month, two of the companies identified - the jewelry retailer Claire's and grocery chain Bi-Lo - have filed for bankruptcy.